If you are in the midst of a home renovation then the subject of windows has probably come up. Choosing the perfect window type to suit your home is not an easy decision. In fact when it comes to aesthetics the choice can be very complex. Windows come in all shapes and sizes. There are square windows, rectangular windows, octagonal and triangular windows. The choice does not stop there either, because choosing a window focuses on more than shape. There is also design. Windows can be designed to slide up, open out, open to the side, or even tip up in a canopy fashion. In order to find the right window that fits your style and functional need means making an informed decision. So here is a list of popular window types that may aid you in your decision making. These windows are made with two sashes that slide vertically. On single hung windows, only the bottom sash slides up and down in the frame whereas double-hung has two moving sashes. You can open them from the top or bottom, with the sashes remaining inside the frame with no outward protrusion. They are perfect for bedroom and kitchen windows. They provide security and can be used to generate a nice breeze. Casement windows are operated from a crank. They are hinged at the side of the frame and open out much like a barn door. These are great for covering large areas, perfect for ventilation, and very easy to use. Simply turn the crank and the window opens out. Casement windows are usually connected to other window panes. The panes bear no obstructions so the windows provide a great view of whatever they are looking at. Generally, casement windows are optimal for warmer climates such as casement windows Cincinnati OH. They are a great choice for family areas, office spaces, and bathrooms. Arched windows bear a classic Roman design. They create a unique look for whatever edifice they are attached to. If you want to add architectural interest to your home arched windows will provide added curb appeal. The windows can be fixed or open depending on preference. Fixed is good for aesthetics, but open is necessary for traffic areas that need ventilation. So if you have a long hall or raised ceiling some arches might liven up the area. If you really want to go with an artistic feel there are also multi-window arches made of various panes. Awning windows are hinged at the top. They open outward and are great for creating ventilation. They are installed next to a stationary window and are contained in a single pane like casement windows. These are perfect for areas complete with big window installations that go floor to ceiling. The larger windows being the stationary panes, with the awnings attached to the top or bottom. Great for sun rooms, living rooms, and bedrooms. Basically, any place you want to create natural light. When something is happening to the electrical components in your home, it is an electrician’s job to fix it. Whether it is wiring or breaker box issues, you want someone that is certified in their craft and knows what to do. Electricians have the uneasy tasks of handling the wiring when other people have no clue how that is supposed to be. If you find that the lights in your home and business are going out, or that only half of your home’s electricity is working, then you know it time to call an electrician to get rid of the problem. These are issues that you just cannot fix yourself. How do you go about finding the right electrician for your electrical services las vegas nv? You could get the telephone book and just go with the numbers listed to find the right one. That in itself is tedious. Make sure that before you hire an electrician that they are certified and have the correct licensing to operate in their in their profession. Electricity is nothing to play with and if not handle properly, everything you own can go up in flames. Please do you adequate research when wanting to hire an electrician to come to your office or home. Most of the time you are dealing with independent contractors but there are occasions where an electrician works for a company. Hiring either one is ok. However, when you get an electrician that is self-employed, some of them tend to not do as good of a job as the one who works for a company and it dispatched to your home. What makes them so different is who they are answering too. If something goes wrong or they do not have the correct licensing, the company that they work for can find a solution and fix it. While independent electricians may believe that the job they did is sufficient when it is not. Just be careful in making a choice, when needing this type of service in your home. Other than fixing all of your electrical components, electricians install full electrical wiring in buildings, while they are being constructed. They can also handle the lighting in theaters and will upgrade an existing electrical system. You can hire an electrician to handle the lighting of your concert or stage play. People in this profession can be gaffers on a television crew. Electricians are needed in so many different fields. That is why it is important to find one that will best for your needs. If an electrician that is capable of handling what you need in terms of electrical services at that time, then hire them. If they do a good job, your word of mouth can drum more business for them. Your water heater is a very important appliance in your home. It is what keeps your water nice and hot so that you can do your dishes, laundry as so that you can enjoy a nice hot shower or bath. Without it, you are missing one of the most essential and necessary comforts in your home. It is also important to help keep your pipes from freezing in the colder months if you live in an area that gets cold weather in the winter months. Just like any of your appliances, your water heater needs some regular upkeep. Even if you are very diligent and take really good care of your water heater, it can still have issues and especially as it gets to be an older appliance. 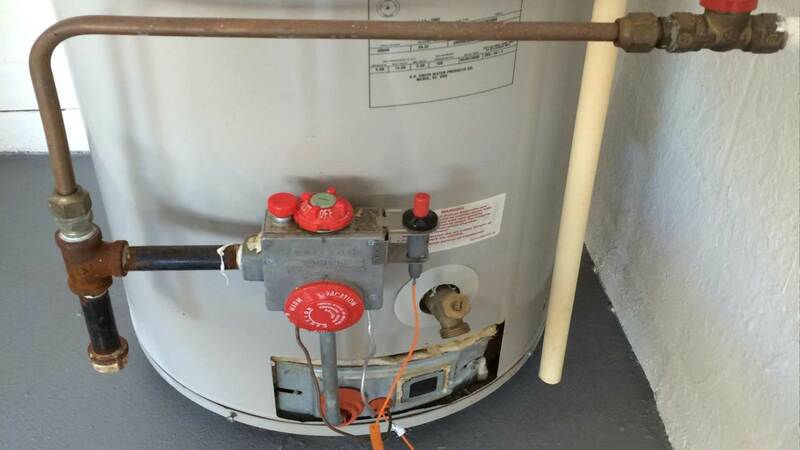 If you have any issues with your water heater, you will need to get a water heater repair las vegas nv. Some things that you can do to keep your water heater working properly include lowering et temperature, insulating your pipes and if you consider yourself handy, you could also test the TPR valve, and replace the sacrificial anode rod. When you lower the temperature on your water heater, you will not only save yourself money, but you will also cause your water heater to take a break. If you are not continuously having your water heater heat up water or have to keep it at a certain temperature, it will not have to turn on or run as frequently. You should also make sure that your pipes are insulated or if they are not insulated be sure to get that done. It will keep your cold pipes cold and your hot pipes hot. 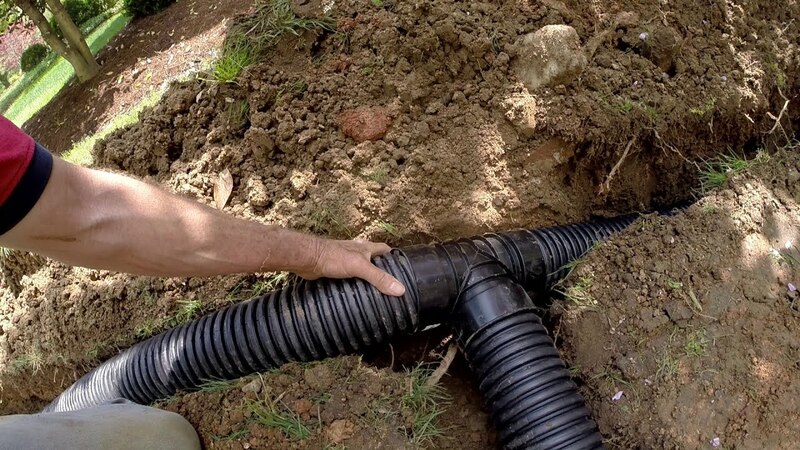 This will help to protect the surrounding areas around your piping and will help to keep the temperature of the water in your pipes at the temperature that they should be at. You could also replace the sacrificial anode rod which will eventually wear down. Corrosion on this part can cause your water to turn brown a rusty colored. You can remove it with a hex-head screw, and if it is covered with mineral deposits, it will have to be replaced. You could also test the TPR valve by placing a bucket under the valve and lifting the tab until water comes out. If the water continues to leak you can be pretty certain that you have a leak and you will need to call in the professionals. Most homes have a method of effectively managing rainwater as it runs off of the roof of a house during a downpour. Usually, it’s a maze of gutters surrounding the base of the roof with downspouts running down the exterior of the structure in advantageous spots so the water will flow away from the house. An attractive and soothing alternative to these downspouts is the use of a rain chain. Very popular in Japan for years, they are recently gaining attention in other countries, as well. The appeal of a rain chain is a combination of its attractive appearance and the soothing sound the rain makes as in runs down the chain. Often, a basin will be placed on the ground at the base of the chain to either catch the water as it cascades down the chain or direct it towards another area of the landscape. As rainwater is saved by some people for a variety of uses, the rain chain is also perceived as a much cleaner way to catch the runoff water than having the water run through a traditional drain spout. A combination of chains around a house can create a stunning array of both visual and audio pleasures during a downpour. Rain chains can be made from a variety of materials and in an even greater variety of styles. While copper seems to be the most popular material, anything resilient enough to withstand the elements is suitable to convey the water in an attractive way. A minimalist approach for a rain chain might be as simple as a decorative chain with no adornments simply allowing a path for the water to flow. A more ornate rain chain might involve a series of small vessels that would catch the water and fill, then overflow to the vessel below repeatedly until the water reaches the ground. Some chains are made of ornate rocks chained together creating an entirely unique look. Glass can also be used to add even more visual appeal to a rain chain. The more their popularity grows, more and more different versions and styles are being seen. A rain chain can create the illusion of a miniature waterfall as the water cascades down it. Regardless of how they are made, the addition of a rain chain can create a wonderland of appealing sounds and visuals. This wonderland is compounded with the addition of several chains strategically located around a home. As their popularity grows, professional manufacturers are creating many different styles and designs to keep up with the demand. They have even caught on with the do-it-your-selfer’s as well as the environmentally conscious as a great project to, maybe, utilize some natural resources to create even more unique designs. Many people enjoy sitting outdoors in a protected area during a storm taking in the natural breezes and sounds associated with mother nature. It’s actually a therapeutic experience for some individuals. These timelessly innovative alternatives to a traditional downspout only add to the nature lover’s experience. Refrigeration is such a common modern convenience; we are terribly inconvenienced when this appliance stops working properly. Today, with all the advances in design, refrigerators can cost upwards of $7500. The quality refrigerators start on the low end at $900, so when it’s not working, that’s a big financial loss. Rather than simply replacing it, try having a refrigerator repair toms river nj done. The minimum cost of a refrigerator repair is reported nationally to be around $264 and the maximum cost is $472, making the average cost $361. Compared to the original cost of the refrigerator, it is an expense worth paying. For a mere $500, you can continue using your $2000 refrigerator. That’s not the mention the inconvenience of having to move a refrigerator, shop for a new one and have it delivered. Refrigerator repair services usually have a 24/7 answering service for appointments. Generally, service repair technicians are certified in various brand servicing and they are trained to be customer service oriented. Upon scheduling your repair, the service technician should confirm before coming to your home. If running late, they generally call to notify you. The most reliable refrigerators tend to be the top freezer. The refrigerators most likely to need repairs are those with an ice maker and the side by side models. Oddly enough refrigerator manufacturing is complicated. Many brands rely on Kenmore for their basic models. Whirlpool manufactures Amana and Maytag refrigerators. Although very well constructed and reliable, it may be difficult to find technicians to work on Samsung and LG refrigerators. When you shop for a refrigerator, do not shop with concern about repairs in your thoughts. Most refrigerators simply die after decades of use. At that time, you will probably want to upgrade to a more modern refrigerator. 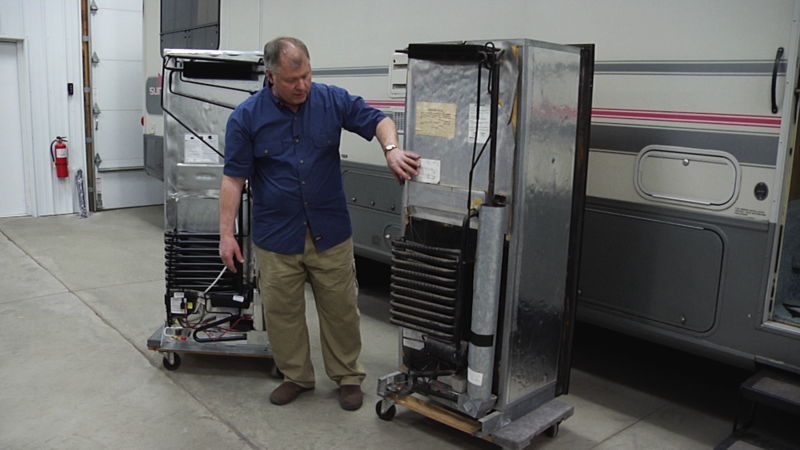 Still, those who have made a significant investment in their appliance need to know, a refrigerator that does have mechanical difficulty can probably be repaired and restored to its original working condition by a certified refrigerator repair technician. 1) Overstuffing your refrigerator can use to heavy usage and cause compressor motor breakdown. The compressor will need to be replaced. Prices for a compressor part, not the labor range from $35 used to $100 new. 2) Refrigerant leakage requires the technician plug up the leak and replenishes the refrigerant. 3) Frayed cabling is a common issue and will require the replacement of the cables. The windows in your home are very important to the makeup of your foundation. Your windows give you a visual of what’s going on in and around the outside of your home. The windows in your home or business will capture the natural elements like the trees, people, and even the weather. More importantly, the type of windows you choose can contribute to the cost of your energy bills. The type of windows you choose should be according to the structure of your home. There are several window styles to choose from with professional installation options. Enjoy the opportunity to tailor your windows to meet the ambiance of your residential or business interior design. 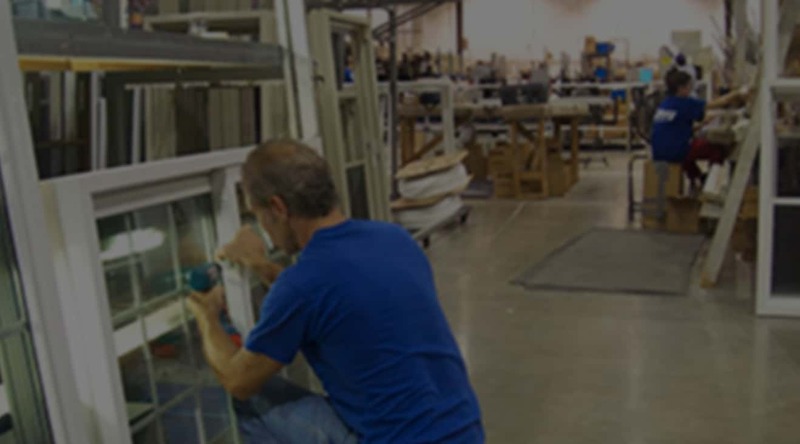 Get help from a Cincinnati window installation professional for more details. The Cincinnati area can get very cold during the winter. Most people use storm windows as an energy efficient solution to the elements. Storm windows are affixed to the inside or outside of the main glass of your windows. They’ll act as a thermal barrier against cold weather. These types of windows work to keep the cold air out of your home or business. However, storm windows will keep your heat inside to give you a comfortable indoor environment. What type of windows do you use for the hot summer days in Cincinnati? There are specific types of windows you can use against the heat. In fact, you can do more than just let your windows up in the summer to combat the heat. Heat gain and losses can contribute to a 20 percent increase in your summer cooling costs. Most people decide on low emissivity (e-glass) windows to block the heat from entering into their home. They also use the standard U-factor windows to protect their home or business from the threat of heat. Your windows play a major role in your comfort and livability. Most windows should regularly be replaced every 10 years. However, structural damage may cause your windows to be replaced sooner. For example, basic vinyl will need to be replaced immediately from water damage to the window frame. You should replace your windows right away when you notice leaks, drafty air pockets, or cracks. More importantly, broken windows should be replaced as soon as possible. A broken window can attract burglars to your home. Faulty window are a clear entry into your home or business. Many individuals would love to enhance their outdoor spaces to create a cozy spot where enjoying the fresh air is a wonderful experience. In many areas, the harsh sunlight has a tendency to make outdoor living a bit of a challenge. There are some practical ways to improve your outdoor deck, patio or yard with the addition of any luxaflex awnings sydney residents can easily find. These incredible protective coverings can keep the scorching rays of the sun off of your face while outdoors. These easy-to-adjust awnings give homeowners a resourceful way to get the exact level of sun and breezes that they desire. Installing a protective awning can make your outdoor entertaining dreams a reality in no time. There are some helpful tips for creating a truly comfortable outdoor retreat without spending a lot of time, effort or money. Choose comfortable outdoor furniture that will stand up to the environment. Many of these furniture styles feature weatherized and waterproofed fabric. The options in outdoor furnishings these days are astonishing, and individuals can even pick from newer bright colors to add some sass outdoors. Select the proper sized furniture for the best look and function of your new outdoor retreat. Many homeowners with open decks, patios or balconies want the protection that enclosed porches can bring without feeling like they are still inside the home. Installing a stunning awning could be the best solution for your situation. On temperate days, the homeowner can enjoy the warmth of the sun. On windy, rainy or extreme temperature days, having the option of utilizing a practical awning for protection from these elements is an awesome feeling. An awning addition can expand the amount of outdoor entertaining that your family does. This is a quick resolution of being unable to enjoy your outdoor space due to weather conditions. The size of your porch, patio, balcony or deck should be measured accurately before shopping for an attractive and useful awning model. These useful outdoor additions come in a wide variety of different sizes and design features. This type of outdoor protection canopy can be found with manual or motorized adjusting capabilities. The splendid selection in fabrics and frame designs are unbelievable. Most homeowners that have an awning wonder why they didn’t install one long before now. These sun and weather protective awnings are a terrific gift idea for older parents and those with health conditions that make them exceptionally susceptible to sun exposure side-effects.